The above info came from Elwin Blaine Coldiron, and was edited by yours truly (contact me). The image came from Hillcity Comics. Kei Kishimoto grew up a very insecure girl. For most of her life, she was praised by her mother for her intelligence. But as she grew older, that praise became less and less, and criticism, however benign, was constant. As a result, she responded by cutting herself... one of those wounds required at least eighteen stitches. One night, totally despondent because she had failed to get into a school she wanted to go to, she had settled in her bathtub, turned on the water... and slashed her wrists. 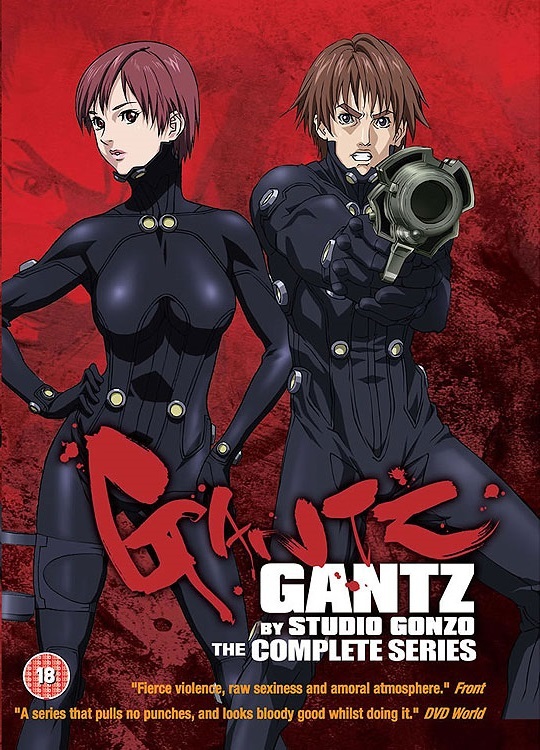 Strangely enough, just as she was about to die, she was brought into an apartment, along with six others, by GANTZ. However, she was naked at the time, and was nearly raped by a yakuza muscle if it weren't for Kato. After that, she, along with Kei Kurono and Kato, were thrown into a battle with the Green Onion aliens. After the battle was over, she was allowed to return to her apartment to get her clothes. When the phone rang, she had found that it was her mother. It was there, because Kei's mother thought it was her sister, she had learned that Kishimoto... that is the ORIGINAL Kishimoto, had survived the suicide attempt. Now with no where else to go, she now lives with Kei Kurono... as his "pet", as Kishimoto calls herself. Kei Kurono has a crush with Kei Kishimoto. However, Kei Kishimoto has a growing affection with Kato. Nishi often harshly taunts Kishimoto... mostly because of her large breasts. GANTZ also makes rude insults at Kishimoto and her ample bustline, but those are usually spelled badly.